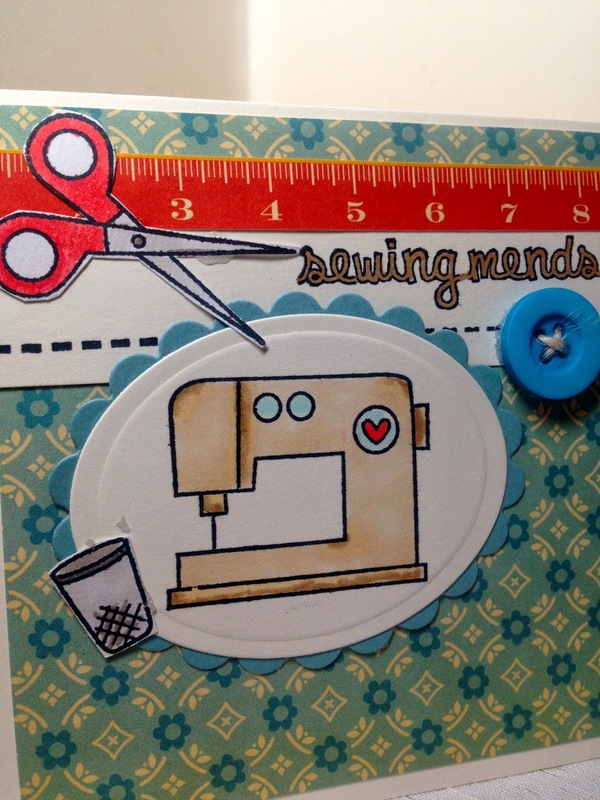 I have no idea who I will ever give this card to since I do not know anyone who sews anymore. I just bought the set because it was on clearance, and I liked the images. I also sew, but I wouldn't say I enjoy it. I find it very frustrating mostly. I sew mostly out of necessity and because there are so some things, like drapes, that you can't buy that look as good as home-made ones. I use to sew all my daughter's dresses when she was little. That was easy and fun. But dresses are more difficult to make for adults because our bodies are all so different. I can't even begin to tell you how many dresses I've made for myself, only to toss it after I made it because it didn't look good on me. So I gave up on that and now I mostly sew crafty things, drapes, and I do a little quilting (but I'm not very good at it). This card will probably sit in my card box for years (unless I ever open an Ebay store :)), until just the right person needs it. But, that's what I like most about not working for design teams anymore: I can make whatever I want! I was actually inspired by Debbie Olson's Cosmo Cricket designs to make my card. But I couldn't find a link to the original card. I had printed the card ages ago and had it my files, but I never wrote down a link. But you can find more of her adorable Cosmo Cricket designs HERE. I used TPC Studio stamp set 'Sewing', to make my card. I stamped the scissors and thimble on separate card stock, colored them, and cut them out. The dash line is a stamp in the set, along with the sentiment. The ruler was cut out from the Cosmo Cricket designer paper 'Material Girl'. I stamped the main image, the sewing machine, onto an oval panel and put a scalloped panel behind that. A button was added for embellishment. I can only dream, right? One thing is for certain, until I finish ALL the sewing projects I started, I will NOT begin any new ones! So what about you? 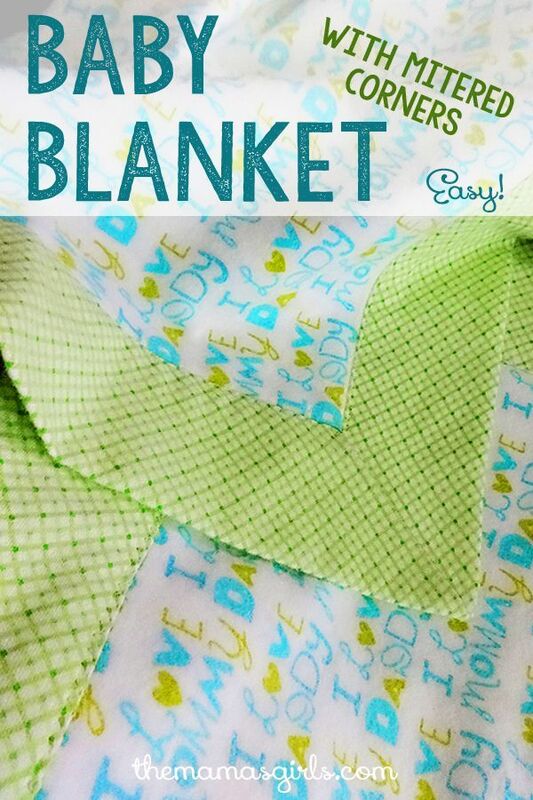 Do you like to sew? 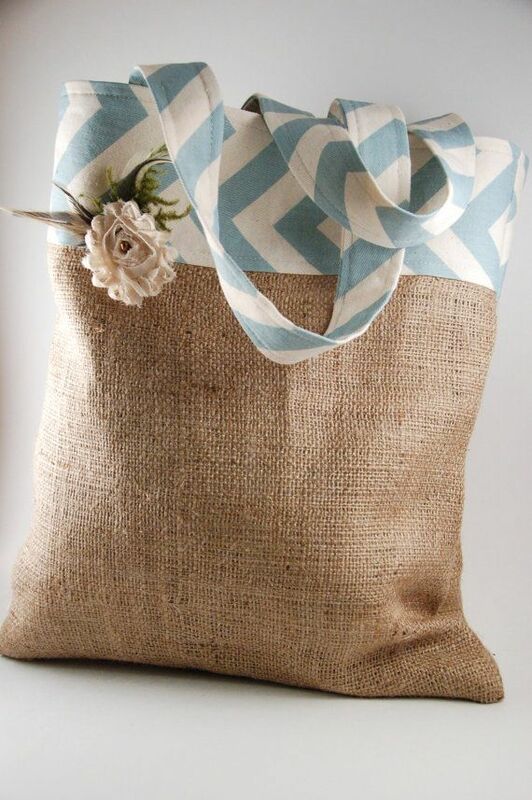 What kinds of items do you make? I'd love to hear from you! That card is so cute! I wish I could sew...I should have paid more attention when my mom tried teaching me. lol. 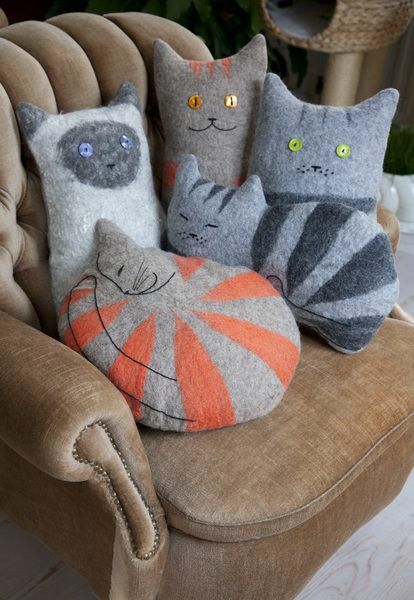 Don't know sew, but if i could, i'll make things with cats héhé !